Want to learn the language of love, glam, and fiery burlesque? Join us for PARLEZ-VOUS CABARET, and you’ll be speaking our language! Our first graduation showcase for 2019 has a flirty French twist and is the perfect way to treat yourself to a fun night out, and check out the work of our wonderful academy students and their staff and special guests. 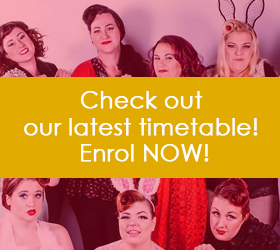 If you’ve been meaning to try burlesque or dance and want to catch our classes in action, this is a great way to familiarise yourself with the ins and outs of a burlesque show. A wild night of raucous applause and cheering for our hard-working (primarily) ladies in a safe and inclusive space – with plenty to keep our guests occupied, you’ll even have the chance to take out the Best Dressed prize or win in one of our legendary audience games. If you’ve got a hankering for song and dance, variety acts, prizes, laughs, sizzling burlesque, and inSEINE amounts of talent – you are in the right place. 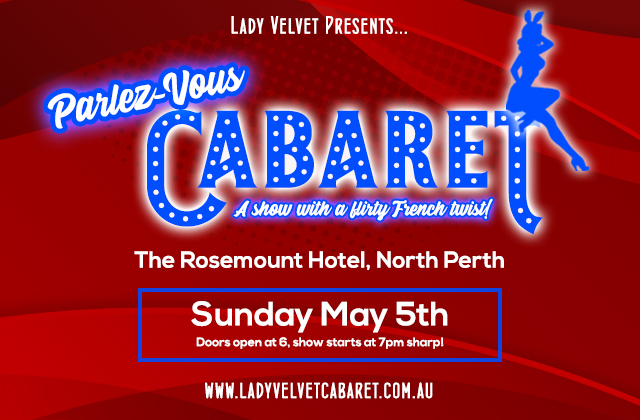 Sit back and relax, enjoy a cheeky cocktail or delicious meal from Rosemount Hotel’s menu as you enjoy a magnifique showcase of the artists, students, and special guests of Lady Velvet Cabaret. Let us transport you to the cobbled streets of fair Paris for an evening of glitz and glamour with Lady Velvet Cabaret! 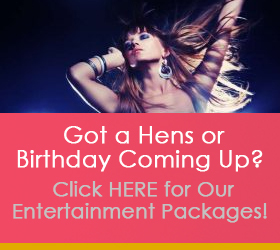 Email info@ladyvelvetcabaret.com.au for more information or to join our VIP mailing list.